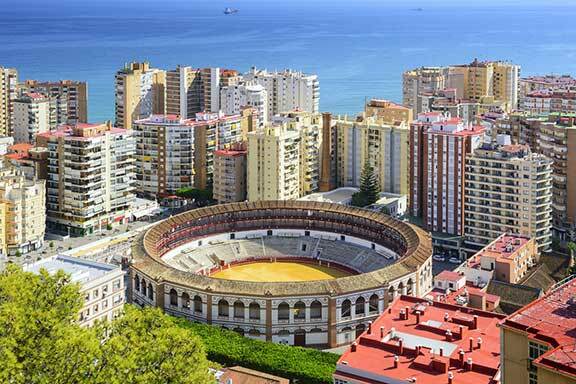 Known as the capital of tourism in Spain, Malaga boasts exceptional weather all year-round and offers a variety of tourist destinations on the Costa del Sol. 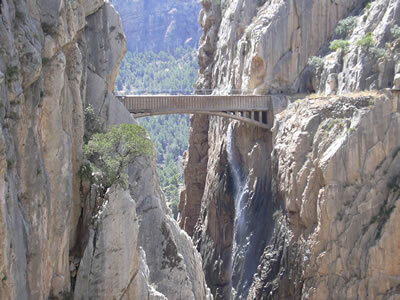 All the information you need to plan your holiday on the Costa del Sol can be found here at Malaga.us, including maps of Andalucia and other related information. Málaga-Costa del Sol Airport (AGP) is the main gateway to Malaga. It is used by more than 12 million passengers every year (the 4th busiest airport in Spain). 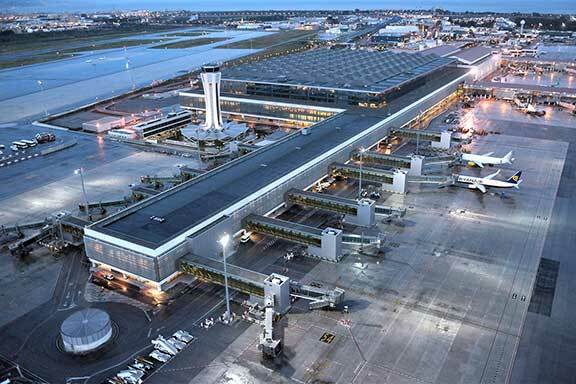 The new terminal 3 has boosted international flights, in fact, many airlines have increased the number of connections with Malaga causing an important reduction in flight prices. 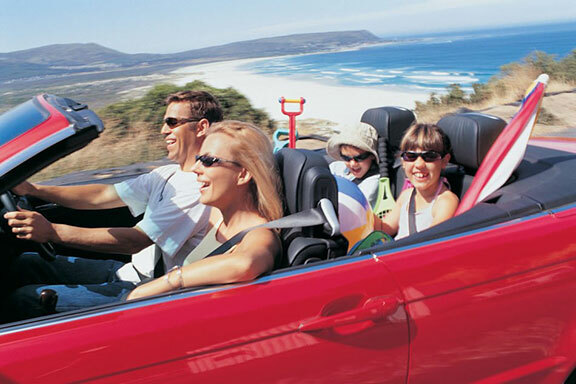 From detailed information relating to Marbella, Torremolinos or anywhere on the Costa del Sol, to the charming whitewashed villages known as the “white villages”, here we’ll help you with whatever you need. 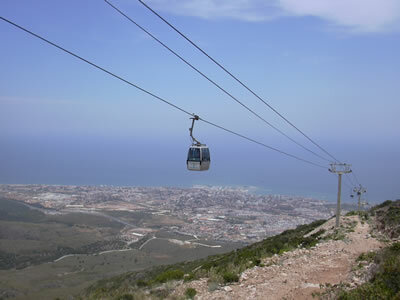 Enjoy the best tourist attractions offered in Malaga. 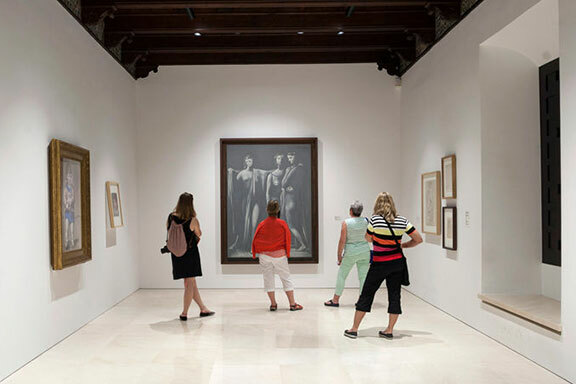 Visit museums like the Picasso Museum, historic buildings such as the Alcazaba, the Roman Theatre and many more attractions that will make it impossible to get bored in the province of Malaga. After visiting Malaga city in the evening, you can relax on one of its beautiful beaches, or stroll through the picturesque streets of the cities and towns located throughout the province. From a round of golf and top-class water sports to attending a Malaga FC football match at La Rosaleda stadium, Malaga is a paradise for sports-lovers. Not only are there plenty of sporting activities to do, but the climate is so good – with year-round the norm – that you can play your favourite sport whatever the time of year. 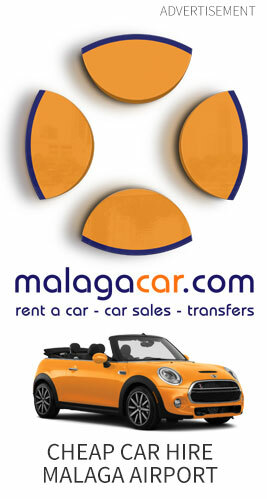 At Malaga.us you can find the best deals on car hire at Malaga airport. It is the most recommended way to move around Malaga, since the suburban train only runs from Fuengirola to Malaga centre. 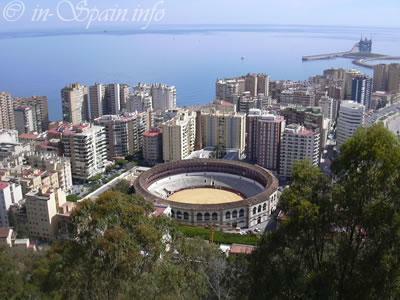 Visit our Malaga pictures section. 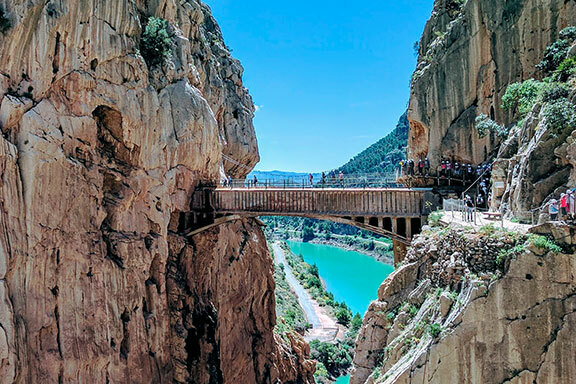 There you will find a special selection of charming places you can visit in Malaga, such as Ronda, El Chorro Natural Park, the Cathedral of Malaga and others. Don’t miss them! 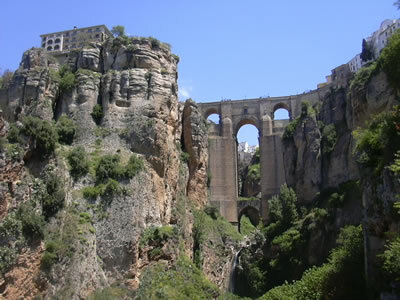 A Natural Park in Malaga with villages you should not miss. Know everything about this festivity in Malaga, we added recent information. Added history, opening times and guide of this tourist attraction. Updated with photos and history of this monument. Updated information and added typical Spanish rituals and traditions. Keeping airport guide updated in 2018. I write this article not only for those who are thinking in visiting Malaga this Christmas, but for those who live here and are looking for ideas or activities to do in December. 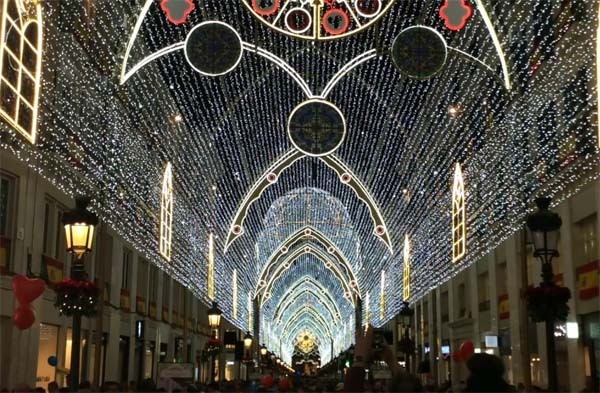 Christmas is celebrated in Malaga with lights and joy, the decoration in december take protagonism in the city centre and the municipalities. Few days only for the Christmas lighting in Malaga, an event you should not miss if visiting the province from November the 24th in advance, day in which the switching on of the lights takes place. Come with us to know more about this great event.